October 19, 1882, was a bloody day in Knoxville – the day of the historic gun battle involving Joseph Mabry II and his son Joseph Mabry Jr., and their foe Thomas O’Conner on the city’s famed Gay Street. In the space of only two minutes, all three men were lying dead on the sidewalk and several bystanders were wounded or had their clothing pierced by stray shotgun pellets. The cause was a feud involving a real estate transaction and the death of Will Mabry, who was killed in December 1881. This tragic story will come to life on Oct. 16, at the third annual Lineage and Legacy event at the Mabry-Hazen House. The one-act play, written by Knoxville residents Becky Brewer and Douglas McDaniel and presented by the Tennessee Stage Company, also will touch on the confrontation between Joseph Mabry II and Thomas O’Conner at the fairgrounds the day before the shootout. More information is available here. One of the most striking aspects of the gunfight is the fact that everyone involved was a notable figure in the community. O’Conner was believed to be the wealthiest man in the region. He was president of Mechanics’ National Bank, a partner in the O’Conner & Co. harness and saddlery manufacturing company, and the owner of a significant amount of property, including the Melrose estate. Gen. Mabry II had made his fortune in railroads, real estate, and as publisher of the Knoxville Whig newspaper. After the Civil War, his wealth diminished, forcing him to sell his blooded horses and some of his property. Yet he continued to be a well-respected or even feared member of Knoxville’s elite. The younger Mabry was only 27 years old, unmarried, and was believed to be an up-and-comer in Knoxville. He was a lawyer who was handling a lawsuit at the offices of Esquire Allison when he heard the first gun shot and ran to help his father. After his untimely death, young Joe was remembered as “genial, sociable and affable…but he would never shirk a conflict, when honor was involved.” His courage got him killed. After the coroner’s inquest and the viewing of O’Conner’s body at the bank, his remains were moved to Knoxville’s West End for a funeral and burial. The Mabrys’ bodies were carried to the Mabry-Hazen House, where legions of admirers, business associates, and family members filed past the bodies to pay their respects prior to burial. Gen. Mabry’s and Joseph Mabry Jr.’s funerals were among several held at the family’s residence on the crest of Mabry’s Hill. In 1932, Evelyn Hazen, the last resident of the Mabry-Hazen House, attended her father’s funeral at the house on the crest of Mabry’s Hill. Evelyn outlived all of her immediate family members and most of her contemporaries. When she died in 1987, she was buried after a small graveside service at the Old Gray Cemetery near her long-departed ancestors. The University of Tennessee at Knoxville will celebrate the 100th anniversary of its first Homecoming in early November. As in years gone by, the students will decorate campus buildings, hold several entertaining and raucous events, and thousands of alumni will return to campus to reminisce and cheer loudly at the football game. During this year’s Homecoming, the Volunteers will host the Tennessee Tech Golden Eagles on the gridiron Nov. 5. U.T.’s first Homecoming was held on Nov. 11, 1916, when Evelyn Hazen was a student at the university. According to a U.T. website, about 300 alumni attended to see the cadet corps lead the first Homecoming parade and watch the Volunteers come from behind to beat Vanderbilt by a score of 10-6. The game was so exciting, University President Ayres declared Monday a holiday so the celebration could continue. Although the university did not crown a Homecoming Queen that year, it is quite likely that Evelyn was named “Cadet Colonel” that year. As she wrote in her personal papers many years later, she frequently was “picked as the one for Cadet Colonel, Queen of this that, and the other, and such similar college stuff.” However, she also said she “was almost too scared to appear after the elections as was entirely unaware of the ‘great honor.’ Someone else could have had it, and I would have been pleased to death to be out of the limelight.” In the fall of 1916, Evelyn was only 16 years old and terribly timid. With the advent of World War I, U.T. suspended Homecoming for a few years and restored it in 1925. Some of the events traditionally associated with Homecoming activities were reinstated, such as the pep rally which has its beginnings in 1916. The decorating of Greek houses started in 1930, and parade floats date back to 1955. This year several new events are planned, including the Volunteer Navy Boat Races and a walking tour of campus. Many of the alumni who attend this year’s Homecoming are likely to wear their fraternity pins signifying their allegiance to the Greek organizations they joined early in their college careers. If Evelyn could attend, perhaps she would wear her Chi Omega pin. When she joined the sorority, it was less than 20 years old and had only a few chapters. Today it claims to be the world’s largest fraternal group for women with 320,000 initiates, 178 chapters, and more than 240 alumnae chapters. Chi Omega’s Pi chapter, which was founded at U.T. in 1900, was the first sorority at the university. Evelyn Hazen (left) with friend outside of the Science Building. As a young college student, it appears that Evelyn did her best to live up to Chi Omega’s expectations. She was a dedicated student, was unpretentious, and preferred to remain out of the limelight. As she grew older, she also detested social climbers. On several occasions after college, she was harshly critical of her fiancé Ralph Scharringhaus’ efforts to curry favor among a group of young social elites. Today U.T. has about 40 fraternities and sororities, some of which are older than Chi Omega and others which were created more recently. Together they offer a diverse group of organizations for the university’s much larger and multicultural campus population. Politicians often use songs to set the tone of their campaigns. 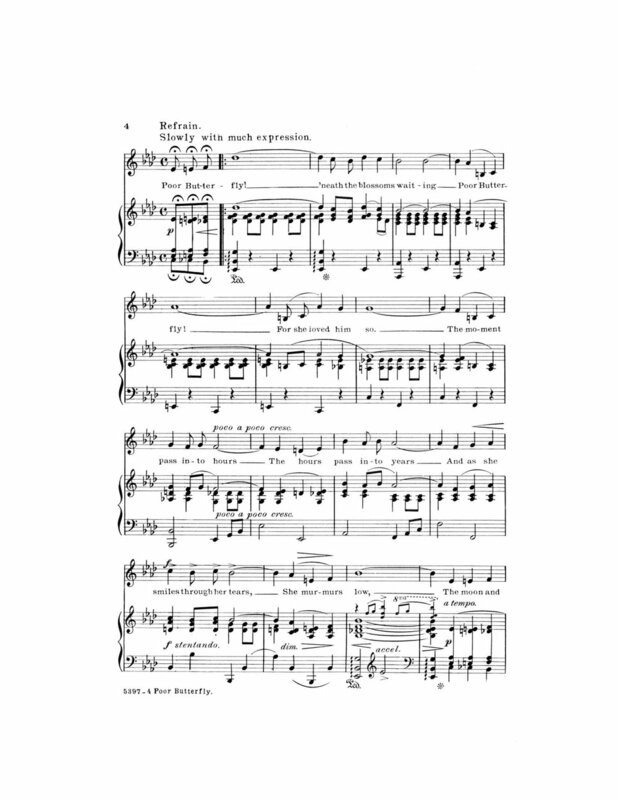 The song “Happy Days Are Here Again” ushered in all three-terms for President Franklin Delano Roosevelt. Former President Bill Clinton’s campaign relied on a Fleetwood Mac song called “Don’t Stop (Thinking About Tomorrow)” to energize the crowds during his campaign events. And recently Hillary Clinton reprised a James Brown favorite called “I Got You” when she re-emerged on the campaign trail after being diagnosed with pneumonia. The song’s lyrics open with “Wo! I feel good, I knew that I would now,” which would seem to be a suitable message for the former Secretary of State to broadcast to her supporters. Had her staff thoroughly researched the song, however, they would have learned that James Brown died from complications attributed to pneumonia. It was an “oops” moment for the campaign. Wars also are associated with songs. 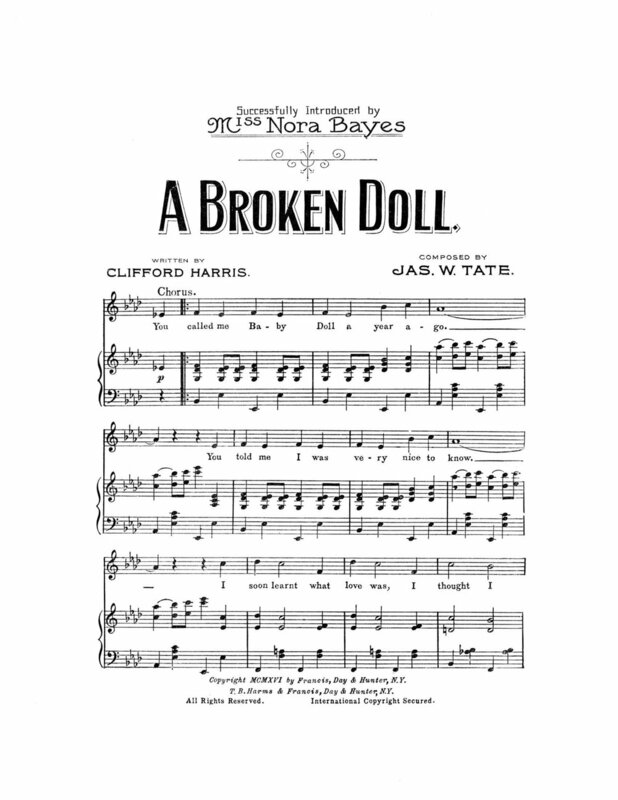 During the period of World War I (1914-1918), several songs became American classics. “It’s a Long Way to Tipperary,” “Pack Up Your Troubles in Your Old Kit Bag,” and “Over There” are among the most memorable. But there were others, and at least one seemed to have a role in the love affair between Evelyn Hazen and Ralph Scharringhaus. 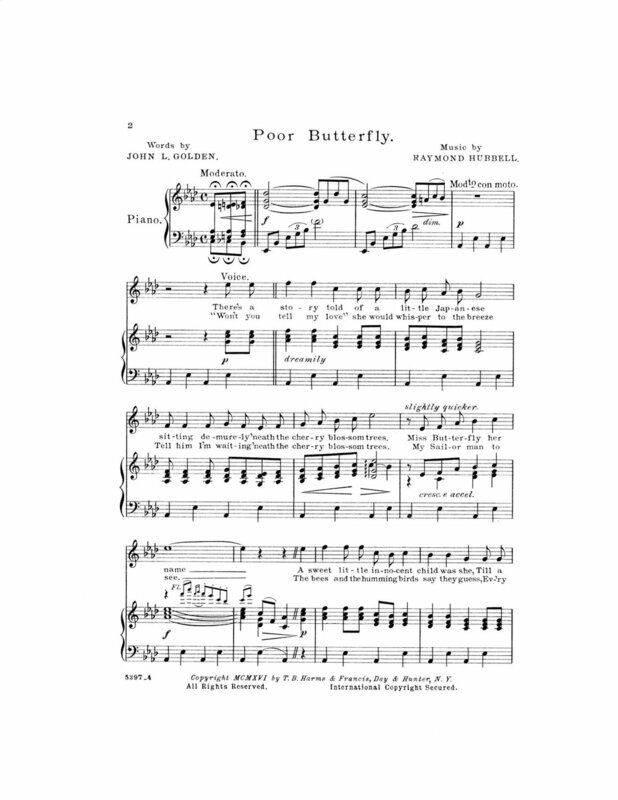 In a letter written to Evelyn after the United States entered the Great War, Ralph mentioned how forlorn he felt after hearing the song “Poor Butterfly.” Unlike the upbeat tunes that were designed to encourage young American men to vanquish the foe in Europe, this particular song focused on the uncertain fate of young couples caught up in the conflict. This grim sentiment was on Ralph’s mind as he sat in a hotel lobby in Columbia, South Carolina, composing a letter to Evelyn in late August 1917. After joining the U.S. Armed Forces earlier in the year, Ralph had received basic training at Ft. Oglethorpe in Georgia, was commissioned as an officer, and then was sent to Camp Jackson (now Ft. Jackson) near Columbia to train troops destined to fight in France. Since his barracks were still under construction, he and other soldiers spent several days at the Jefferson Hotel. But Ralph did see Evelyn that fall during his first leave from Camp Jackson, and his desire for her led to her seduction. He asked her to marry him and move to Columbia with him immediately. When they were unable to get a marriage license during the weekend, Ralph asked her to prove she loved him by giving herself to him. Thus began the multi-year saga of Evelyn’s and Ralph’s tempestuous relationship. It started during World War I and ended in a scandalous trial in 1934. Through it all, Ralph was proud, arrogant and self-indulgent as he made excuses for failing to marry her. Meanwhile, Evelyn like the heroine in Poor Butterfly considered ending her life before going on the offensive and suing Ralph for seduction and breach of promise to marry. Lucille LaBonte once told me that Evelyn Hazen, the last resident of the Mabry-Hazen House, was “smart and cunning.” When she made this statement, I was a little surprised by the word “cunning.” At the time, I had not conducted any independent research on Evelyn and her landmark suit against her former fiancé Ralph Scharringhaus. Later I began to understand. As it turned out, Lucille’s use of the word cunning was quite appropriate. Webster’s Dictionary defines “cunning” as “dexterous or crafty in the use of special resources (as skill or knowledge) or in attaining an end.” That word certainly depicts Evelyn’s savvy choice of her Kentucky lawyer for her court case. Initially she and her Knoxville attorney W.T. Kennerly had filed suit against Ralph in Knox County, Tennessee, alleging breach of promise to marry and seduction. However, Ralph had moved to Kentucky to avoid legal action. After one of Evelyn’s “spies” had found him living in Erlanger, Ky., Evelyn and Kennerly filed suit in Covington, Ky., and had him served him with a summons. By moving the court proceedings to Kentucky, Evelyn was required to hire a lawyer in that state. She and Kennerly found the right man—with the right history and temperament—for the job. He was Stephens L. Blakely, who was a seasoned courtroom litigator with strong ties to the Covington community. His resume was impressive. He was serving as the City Solicitor, who was tasked with representing the City of Covington, and he had been a Commonwealth Attorney, a position that had won him respect and admiration among the judges and his bar-member colleagues. Perhaps most importantly, Blakely was fearless and honest. As a young man, Blakely maintained a diary in which he recorded his daily experiences, including his boyhood pranks. His near-daily entries describe his studies at law school, his trips to the Licking River to swim, as well as the classes he cut. Some of the most intriguing entries deal with the 1900 threat of civil war in Kentucky, just after Blakely graduated from law school and had joined the U.S. Armed Forces. According to a brief Wikipedia account, the trouble began after a large number of German immigrants settled in Kentucky, and leader William Goebel became a state senator and assumed control of the Kentucky Democrat party in the mid-1890s. One of Goebel’s actions was to remove vote-counting from the localities and put it in the hands of the Democrat-controlled Assembly. As a result, Goebel was certified as governor in 1900, although Republican William S. Taylor was believed to be the duly elected candidate in 1899. After the Kentucky Senate assembled a special Committee of Inquiry packed with Democrats, Taylor’s supporters picked up their weapons and converged on the state’s capital. Blakely soon found himself on the front lines of the armed conflict in Frankfort, Ky., where the Taylorites and the Goebelites were threatening to kill each other and take over the state government by force. On January 30, 1900, as Goebel approached the Capitol building, he was shot by a sniper. The next day he was sworn in as governor and died on February 3. For the next four months, Kentucky was ruled by two executives: Taylor, who claimed he had been elected; and J.C.W. Beckham who had been Goebel’s running mate. Eventually the U.S. Supreme Court ruled that Beckham was entitled to be the state’s governor. Evelyn Hazen outside the courtroom, 1937. Image courtesy of Knoxville News Sentinel. Blakely’s experiences during the Goebel/Taylor controversy likely had a strong impact on his political views and sentiments regarding German immigrants. When World War I broke out, he attended the first meeting of the Citizens Patriot League in Covington, which was formed to stamp out virtually everything associated with the German enemy. The league demanded the schools to stop teaching the German language and sought the closure of German-language newspapers. Blakely also was one of many men credited with leading mobs against Covington residents suspected of supporting the German cause. In short, Blakely was precisely the attorney Evelyn needed to confront Ralph Scharringhaus—whose father was a German immigrant—in a court of law. Hiring him was a brilliant move, and it helped her attain the verdict she wanted. Lucille LaBonte, a paralegal and Evelyn’s primary care-giver at the end of her life, knew Evelyn better than anyone and had witnessed both her intellect and propensity for anger. Lucille was right. “Cunning” was the right word. The U.S. National Park Service is celebrating its 100th anniversary this month and holding special events in parks across the country. In Virginia where I live, the Shenandoah National Park has waived entrance fees for a few days, encouraging visitors to hike in the Blue Ridge Mountains. The Great Smoky Mountains National Park, just a few miles from Knoxville, does not charge an entrance fee but it shares a lot in common with the Shenandoah National Park. Both parks were launched at the same time by President Calvin Coolidge in 1926, and both required the purchase of land from family farmers and others who owned property in the designated areas. In the Smokies, lifetime leases were available for those who did not want to move, or could not move for health reasons. Knoxville resident Col. David C. Chapman, a drug company heir, got involved when he became the leader of the Appalachian Club, which represented a group of people who owned homes in the Elkmont area. After he was appointed to the Tennessee State Park & Forestry Commission in 1925 by Gov. Austin Peay, he negotiated land purchases and helped to raise money to buy more land. Today he is known as the “Father of the Park,” and a portion of US 441—Chapman Highway—is named for him. Ann Davis, the first woman elected from Knox County to the Tennessee State House of Representatives, pushed for the park’s establishment as early as 1923 after she and her husband W. P. Davis visited several national parks in the West. Apparently at her urging, W.P. started the Great Smoky Mountains Conservation Association and convinced the U.S. Secretary of the Interior to include a portion of Tennessee in the park. Initially, the park was planned to contain only land in North Carolina. Photographs of 6,600 ft. tall Mt. LeConte taken by Knoxville brothers Jim and Robin Thompson were instrumental in encouraging the government to add some of East Tennessee to the park. Jim was an avid hiker and founder of the Smoky Mountains Hiking Club. Most of the photographs have been attributed to him, but younger brother Robin was responsible for six aerial shots. Photography was the family’s passion. Their father founded Thompson Brothers Commercial Photography in Knoxville in 1902. Today the firm still exists as Thompson Photo Products. Knoxville Mayor Ben Morton was a strong advocate for the park and helped to raise both financial and political support in 1925-26. In 1927, after his term as mayor had ended, he was appointed by the governor to the Tennessee Great Smoky Mountains Commission which was chaired by Col. Chapman. In 1931, he helped negotiate the $3 million land settlement of 100,000 acres owned by the Champion Fibre Company, which ensured the park would become reality. Many other notable personalities were intimately involved in the park’s success, including John D. Rockefeller Jr. who donated $5 million and all of the workers of the Civilian Conservation Corps. The CCC was created by President Franklin D. Roosevelt to provide jobs to unemployed men during the Great Depression. During 1933-1942, about 4,000 men were assigned to 22 camps within the park where they built roads, bridges, trails and structures. Back in the 1920s, Mayor Morton probably asked Evelyn Hazen’s father Rush Strong Hazen to make a contribution to the park. Based on Hazen’s reputation for generosity, it is likely he complied. Evelyn often complained that her father was too generous. She criticized him for paying off the church’s debts every year. Mr. Hazen also served on the Board of Directors for the First Exposition of Conservation, held in Knoxville in 1913. Although Evelyn must have been aware of the community’s interest in establishing the Great Smoky Mountains National Park, she probably was too preoccupied with her own problems to get involved. By the 1920s, she was engaged to Knoxville businessman Ralph Scharringhaus, who was always looking for ways to get her into compromising situations. For just one example, read my last blog post about the rendezvous at Chattanooga’s Hotel Patten. Evelyn’s and Ralph’s 15-year-long engagement ended in scandal and a court case that was covered by newspapers all over the country. To read an account of their story, contact the Mabry-Hazen House and fine bookstores in Knoxville for a copy of my book The Seduction of Miss Evelyn Hazen. Last summer, my sister and I finally visited Rock City. As kids on family vacations, we had seen “See Rock City” painted on barns in East Tennessee, but our family had never made the trek up Lookout Mountain above Chattanooga. Now in our 60s, we joined the legions of other travelers who have walked through the rock formation that became a top tourist attraction in the 1930s. We also drove through Chattanooga on our way to Knoxville. The two cities are separated by a distance of about 115 miles along the Tennessee River. In the early Twentieth Century, businessmen in both Knoxville and Chattanooga were anxious to modernize their cities by building “skyscrapers.” So in 1907, Knoxville completed the Burwell Building which was the city’s first high-rise office building. A year later, Chattanooga opened the Hotel Patten, a multi-story Gothic Revival (also called Sullivanesque) structure that was said to offer some of the finest accommodations in the country. Old photographs show an elegant two-story main dining room studded with columns and tables set far enough apart to allow for private conversations. The hotel also housed a billiard room, a manicure parlor and barbershop in the basement, a bowling alley, a men’s café, and 251 sleeping rooms of which 225 had private bathrooms. When the hotel opened on April 1, 1908, rooms cost $1.50 per night. In the early 1920s, Evelyn Hazen, who was the last resident of the Mabry-Hazen House, visited Hotel Patten with her fiancé Ralph Scharringhaus. She thought they would simply have dinner there, but Ralph had other ideas. As she waited in the car outside, he checked them in to the hotel as Mr. and Mrs. Yates, borrowing the name of a former Army buddy. When Ralph returned to the car, he told Evelyn they should go inside to freshen up and then go back to the car and drive around Chattanooga until dinner time. She walked with him into the lobby and onto the elevator, assuming he was leading her to the ladies’ lounge. Instead he took her to a private room. Ralph took quite a risk when he checked them into Hotel Patten and escorted Evelyn through the lobby. It was entirely possible that people from nearby Knoxville were staying there and could have seen them together. Being unchaperoned at a hotel could have raised eyebrows and given the rumor-mongers in Knoxville plenty to talk about. Years later, their relationship caused quite a scandal when Evelyn filed suit against Ralph for breach of promise to marry and seduction. Evelyn and Ralph as well as several nationally-known people visited the Hotel Patten in the early decades of the Twentieth Century. Warren G. Harding held a reception there during his run for the presidency in 1920. President Howard Taft held a banquet at the Patten. Jimmy Hoffa, leader of the Teamsters Union, stayed at the Patten during his trial at the Chattanooga Federal Building in 1964, and evangelist Billy Graham was there in 1953 during his crusade at the Warner Field House. John F. Kennedy Jr., addressed the city’s Rotary Club at the Patten in 1953 just after he won election as a U.S. Senator from Massachusetts. To accommodate celebrities and their need for privacy, a tunnel was available allowing them to enter the building unseen by spectators. According to reports, the tunnel has been closed for several years. No doubt the tunnel was not made available to Mr. and Mrs. Yates, the young couple from Knoxville. For Evelyn, the trip to Hotel Patten was one of several examples of how Ralph tricked her into untenable situations. During the trial, she testified that Ralph also carried a ring in his watch pocket and insisted she wear it as a wedding band when they were in guesthouses together, including some of the finest hotels in New York City. Although she said she did not want to continue having relations with Ralph, she acceded to his demands to avoid making “a fuss” in public and in the false hope that he would marry her eventually. Like so many of America’s celebrated structures that have grown old and worn, Hotel Patten no longer caters to the rich and famous. It has been repurposed as a Section 8 housing project for the elderly and disabled. But Rock City continues as a curiosity on top of Lookout Mountain. Although Calvin Chappelle has managed the Mabry-Hazen House for several years now, he continues to discover new information that adds to our knowledge about Evelyn Hazen and her family. Just a few days ago while carefully cataloguing items in an old trunk, he found a newspaper clipping about Evelyn’s first boyfriend. Evelyn apparently had tucked it into the trunk for safe-keeping. Russ, whose full name was Robert Medaris “Russ” Lindsay (1891-1977), was an outstanding athlete at the UT when Evelyn entered the university as a freshman in 1914. That year the team won all nine of its football games, earning Russ the distinction of being an all-Southern conference fullback. During the team’s 14 to 7 win against Sewanee, Russ “ploughed through the opposing line for consistent gains, and when it was absolutely necessary that Tennessee gain a certain number of yards 'Russ' was sure to be called upon." From 1913-16, Russ also played baseball at UT and was named an all-Southern baseball player. When Evelyn met Russ, who was about 8 years older than she, Evelyn was only 14, making her the youngest student at the university and probably the most naïve. She had been raised by her mother and father at the top of Mabry’s Hill, isolated from the city below. The only school she had attended was a private girls’ academy. With practically no knowledge of boys and men, she easily could have been victimized by the first man she met at UT. But instead, she met Russ who treated her with respect and admiration. He took her to school every morning and walked her to class. Although Evelyn and Russ had what she called a “sort of engagement,” their relationship changed when she became acquainted with Ralph Scharringhaus, one of Russ’ Sigma Alpha Epsilon (S.A.E.) fraternity brothers. In the spring of 1916, Ralph and Evelyn portrayed a husband and wife in a play at Staub’s Theater. Usually Russ picked her up after rehearsals and escorted her home, but Ralph began offering to give her rides. Russ and Ralph argued over Evelyn, but their dispute was cut short by the United States’ entry into World War I in April 1917. Russ enlisted and was sent to Maryville, Tenn., for training. While he was gone, Ralph told Evelyn she should never see Russ again because he had a disease that could injure her or any children she might have. Evelyn was too embarrassed to ask any questions, so she took Ralph at his word. A few weeks later, Ralph also joined the Armed Forces and was sent to Fort Oglethorpe, Georgia, for training. The rest, as they say, is history. Ralph seduced but never married Evelyn, leading to her landmark suit against him in 1934. After training camp in Maryville, Russ was assigned to the U.S. Expeditionary Force and was sent to France to fight the Germans. When the war ended, he returned to Knoxville and married Elizabeth Maynard. By 1940, according to Census records, he and Elizabeth had two children and were living in Maryville, where he was a salesman for a lumber company. In 2007, Russ’ son Robert M. Lindsay Jr. made a “leadership commitment” to UT, and the baseball field was named after him—the Robert M. Lindsay Baseball Field at Lindsey Nelson Stadium. Greg Hulen, chief development officer for UT’s athletic department, says Tennessee baseball was important to the younger Lindsay due to his father’s athletic experiences at UT. Had Evelyn remained with Russ, it’s likely her life could have had a very different outcome. Instead she never married and had no children to carry on her family’s legacy. Whenever a major news event occurs, it’s rare when the eye witnesses agree on the same set of facts. Several recent shootings in the United States have illustrated this point, indicating how perceptions can affect the way in which tragic events are described. This is hardly a new phenomenon. It also was true during the infamous shootout on Knoxville’s Gay Street in 1882, when General Joseph Mabry and his son Joseph A. Mabry III were killed by Thomas O’Conner and an accomplice. According to a newspaper article published by the Associated Press Telegram and reprinted in Mark Twain’s Life on the Mississippi, the shootout occurred just after 10:00 a.m., on October 19. It supposedly was triggered by an argument between O’Conner and Gen. Mabry at the fairgrounds the day before concerning the transfer of property from Mabry to O’Conner. Mabry allegedly warned O’Conner that he would shoot him the next time he saw him. On the 19th, O’Conner, who was the president of the Mechanics’ National Bank and believed to be the richest man in Tennessee, spied Mabry walking down Gay Street on the side opposite to the bank. O’Conner grabbed a shotgun from the bank and fired at Mabry, striking him in the left side. “Mabry fell dead,” according to the article, but O’Conner fired again and hit him in the thigh as he was falling to the ground. Apparently hearing the commotion, Gen. Mabry’s son Joe “came rushing down the street, unseen by O’Conner until within forty feet of the bank’s entrance, when the young man fired a pistol.” He struck O’Conner, and the bullet passed through his chest. Before he died, O’Conner spun toward Joe and fired a second shotgun at him. Joe was hit by about 20 pieces of buckshot in the right side of his chest. The blast was fatal. Joe fell to the ground, tried to rise, and then died. The entire shootout lasted about two minutes and left the bodies of three of the State’s most notable businessmen lying dead in the center of Knoxville’s business district. At least two bystanders were injured by flying buckshot. A few others luckily avoided injury but had their clothing pierced. O’Conner’s accomplice got away. Thousands of people reportedly “thronged” the street. We don’t know whether the eye witnesses gave conflicting stories to the authorities, but there’s no doubt that different tales were told about the shootout’s cause. The Mabrys, including Evelyn Montgomery Hazen whose mother was Joe Mabry’s daughter, claimed the dispute was the result of deep-seated resentment between the Southerners and the so-called Carpetbaggers after the Civil War. As one family member explained, “O’Conner had ‘cooperated with the ‘Yankees’ for some time, no doubt for considerable profit.” Evelyn’s family asserted that “jealousy and spite toward wealthy, aristocratic persons” such as the Mabrys were common practices among the “newcomers” to the South after the war. But the Associated Press Telegram article drew a far darker picture. It claimed the shootout occurred just a few days after Gen. Mabry and his son Joe were acquitted for the murders of Moses and Don Lusby, who were father and son. The Mabrys had been accused of killing them a few weeks earlier, possibly to avenge their killing of Gen. Mabry’s son Will during a bar brawl at Christmas in 1881. A one-act play about the shootout will be presented during the Lineage & Legacy gathering at the Mabry-Hazen House on Oct. 16, which will feature additional details surrounding the gunfight. The event is free, and guests will be treated to live music, refreshments, and tours of the historic home. Getting back to Twain, he wrote about the Gay Street shootout to refute the notion that the South had the “highest type of civilization this continent has seen.” In his view, shootouts and bloodshed did not equate with civility. But he neglected to consider that the Mabrys were hardly representative of the entire Southern culture. In fact, the Mabrys were said to have violent tempers, which was a family trait passed down through the generations. At least one person who knew Evelyn Hazen, the last resident of the Mabry-Hazen House, told me she had inherited this family flaw. She said several people had seen Evelyn fly into rages that were frightening to behold. But Evelyn also could be generous, kind, funny and endearing. She also was very intelligent. Luckily for Knoxville, she wisely recognized the historical value of her home and its antiques, and she requested that her estate be turned into a museum if at all possible. Thanks to the efforts of Lucille LaBonte and Judge Howard Bozeman, both deceased, the antebellum Mabry-Hazen House stands today as an example of life among the Southern elite in the Nineteenth and early Twentieth Centuries. The famous "Lexington", who apparently sired Mabry's horse, "Helmet". The term “blooded” is used loosely to refer to several breeds of horses including thoroughbreds and Standardbreds, which are used for harness racing. Today horse breeds are often categorized as “cold-blooded”—large boned, calm animals like Clydesdales used for hauling heavy wagons and farm work—and “warm-blooded”—which are bred by crossing cold-blooded breeds with more spirited, hot-blooded breeds such as Arabians. Thoroughbreds, known for their long legs and speed, were created in England generations ago through cross-breeding. It is likely Gen. Mabry’s blooded horses were considered members of the family, as well as a source of transportation and an emblem of his prosperity. One can only speculate what they might have been worth. Blooded horses continue to be highly prized today, and thoroughbreds can be worth millions of dollars. American Pharoah, the stallion that won the Triple Crown in 2015, could be worth an estimated $75-$100 million in stud fees over the next few years. I have owned horses for several years, but I never paid more than about $1,500 for any of them. In fact, the best horse I ever owned was a gift from cowboy who needed a home for a Quarter Horse used in rodeos. The horse’s name was Sloan, and riding him was like sitting on the top of a locomotive speeding down the tracks. He was strong, solid, and fast, and he had incredible maneuverability. He could turn on a dime and stop in a heartbeat. Several weeks ago, I had to ask the veterinarian to put down one of my two remaining horses. His name was Chocolate, a 16-hand Quarter Horse/Appaloosa cross who had been diagnosed with cancer. The vet explained the cancer was aggressive, and even if it were removed, it would return quickly with a vengeance. Since the horse was old, had tooth problems, and was blind in one eye from “moon blindness”—an ailment common to Appaloosas—surgery was ruled out. So I did my best to keep him comfortable and well-fed. Other than showing some signs of discomfort occasionally and losing a little weight, he seemed to do pretty well for the first several weeks. He also became calmer and more cooperative, which was odd for an Appaloosa which are known to be willful and hard-headed. His personality change foretold his imminent demise. A few days before Easter, Chocolate spent most of his time standing beneath the Storm Tree, as we call it, where he and his stable-mate Buster tended to gather whenever bad weather was expected. Chocolate also began to eat less. When I fed him grain in the evening, he was reluctant to lower his head to reach his feed pan. Instead he nudged my arm with his brown-and-white speckled nose, signaling me to pick up the pan and raise it to his mouth. He took very small bites and chewed them laboriously. Whenever I put the pan down and he was ready for another bite, he would nudge me again. Finally, he simply gave up. I called the vet. The procedure was quick and painless. I watched tearfully as Chocolate’s legs buckled and this magnificent creature collapsed onto the ground. Although I mourned the horse’s death, it was Buster who truly suffered. He ran through the pasture searching for Chocolate and whinnying to him. It was heartbreaking to watch. The vet had warned me that Buster would grieve for his companion who had been with him for more than 20 years. Buster has since adjusted to his loss and seems to be doing well. I guess I have adjusted, too. At least I did not have to face the bitterness of losing a horse for financial reasons like Gen. Mabry. Having to sell his horses, along with losing land and the railroad, must have been exceedingly difficult and humiliating. Yet he persevered and continued to be a force in Knoxville until he suffered the ultimate defeat in 1881, when he was killed in a shootout on Gay Street. More on that in the next blog post. For several summers in the early Twentieth Century, young Knoxville businessman Ralph Scharringhaus traveled to mountainous Blowing Rock, North Carolina, to escape the heat and humidity of the Tennessee Valley. Ralph viewed these weeks-long vacations as essential. He said they gave him the chance to rest, play golf and tennis, and relax after months of managing his family’s wholesale clothing business in Knoxville. Evelyn Hazen, the last resident of the Mabry-Hazen House, was engaged to Ralph at the time, and she was bitterly disappointed every time Ralph’s announced he was going to Blowing Rock without her. She felt abandoned and worried about being terribly lonely without him. At the time, young women did not venture out to parties or movies unattended. To make up for his absence, Ralph wrote love letters to Evelyn nearly every day, emphasizing how much he missed her and justifying his vacation as way to protect his health. He claimed he wasn’t as strong as Evelyn and physically could not tolerate the sultry summer heat. Major George Washington Findlay Harper (sitting) with his son Lieut. James Harper, 1919. Although it’s not clear precisely where Ralph stayed in Blowing Rock, it’s quite possible he patronized the Green Park Inn. It has been in operation since 1891, and at the time it housed the area’s only post office. Major George Washington Findlay Harper, a Civil War veteran, was one of the three Lenoir, N.C., businessmen who founded the hotel on land known as Green Park. Several notable Americans stayed at the Green Park Inn in the Twentieth Century, including John D. Rockefeller, Annie Oakley, Eleanor Roosevelt, Herbert Hoover, Calvin Coolidge, and Margaret Mitchell, who reportedly wrote part of Gone with the Wind at the hotel. The Green Park Inn was placed on the National Register of Historic Places in 1982 and is said to be the second oldest resort hotel in operation in North Carolina. Today there are several resorts at Blowing Rock, making it a prime destination for travelers in the summer and during the winter ski season. But the Green Park Inn appears to be the most historic…and possibly haunted. According to posts submitted by people who have stayed there, a woman named Laura Bell hanged herself from water pipes in a third floor room after she was left at the altar by her lover. Visitors report feeling cold drafts at various places in the hotel and hearing voices and banging sounds at night on the third floor. One claims a window and a door opened by themselves. According to one report, a hotel worker confirmed the hotel is haunted. Evelyn Hazen also was jilted by her lover Ralph Scharringhaus, but rather than take her own life she dragged him into a court of law where he was found guilty of breach of promise to marry and seduction. The entire story of their engagement and the court case can be found in my book, The Seduction of Miss Evelyn Hazen, which is available at the Mabry-Hazen House and fine bookstores in Knoxville. But Ralph was not quite as lonely as he pretended. Starting in 1921, much of Ralph’s time in Blowing Rock was spent with his so-called “summer girls,” as Evelyn learned later. This fact was just one of many reasons why she sued him.